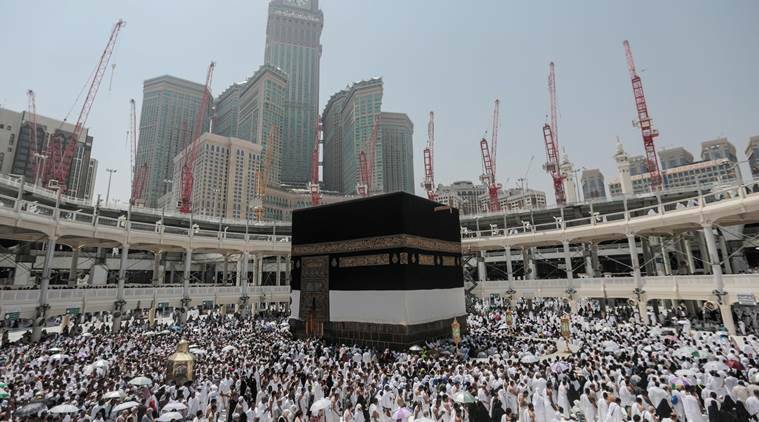 Saudi Meteorology Authority announced on Sunday, the possibility of floods in Mecca because of medium to heavy thundery rain, the Al Akhbariya reported. The authority forecasted that the unstable weather that covers Mecca, Minna and Arafat would continue this night. The rain occurs while around two million pilgrims are residing in Minna in tents to mark the Day of Tarwiyah ritual. Al Arabiya’s images and videos on social media showed the Kaaba’s Kiswa, an embroidered cloth that wraps around Islam’s most sacred site, being moved out of place due to the high winds in Mecca on Sunday evening. Hajj season is being managed in Saudi with tight security and high safety standards to ensure the wellbeing of pilgrims.